SpeedyDock makes dry stack marina operations easy. Save time on every launch. No more phone calls or scheduling issues. The best solution for managing dry stack marina operations. Enforce a plan to coordinate boat movements between customer requests and internal operations. Built specifically for marinas with dry stack storage or valet services, SpeedyDock provides a system for tracking boats and scheduling launch requests. SpeedyDock allows marinas to operate more efficiently by reducing office work, saving time in the field, and keeping customers up-to-date on the status of their requests. Marina customers, forklift drivers, technicians, managers, and dock personnel are going to love this app. Customers and marina management can schedule boat launches from their computer or mobile device. Requests go straight to your drivers. 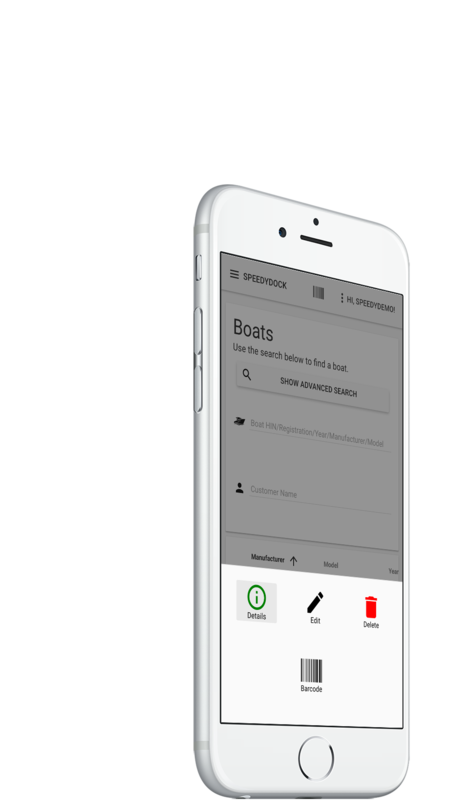 Dry stack customers can notify your staff when to re-rack their boat, straight from the app. Model dry stack storage from flexible grids to easily assign boats in dry stack storage locations. Quickly build maps and assign boats to slips from satellite and aerial dock imagery to share with staff. Tag boats and slips with barcodes. Scan them later with our mobile app for quick access to information in the field. Notify customers and marina staff with text or email alerts as launch status is updated. 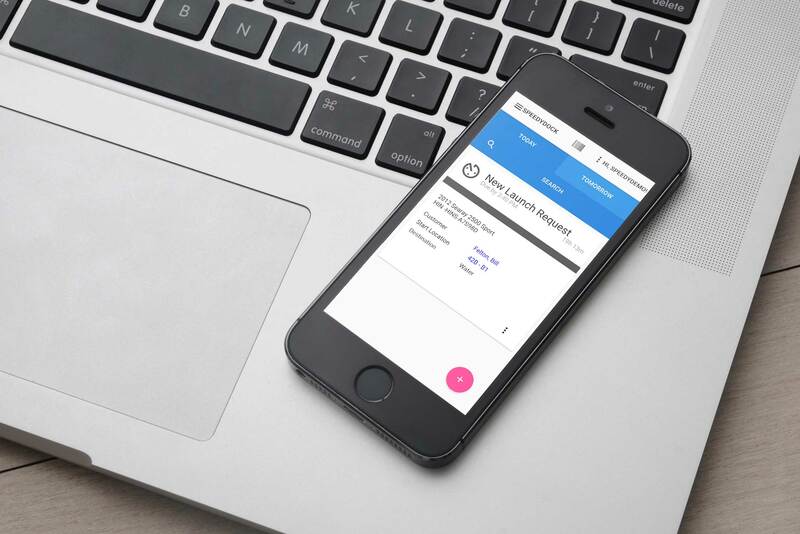 Give your staff and customers a way to schedule boat launches and get instant status updates. Reduce time on the phone by sending requests straight to the field. Manage your dry stack marina from anywhere, at any time. Marina operations are extensive, and not just limited to the office or front desk. 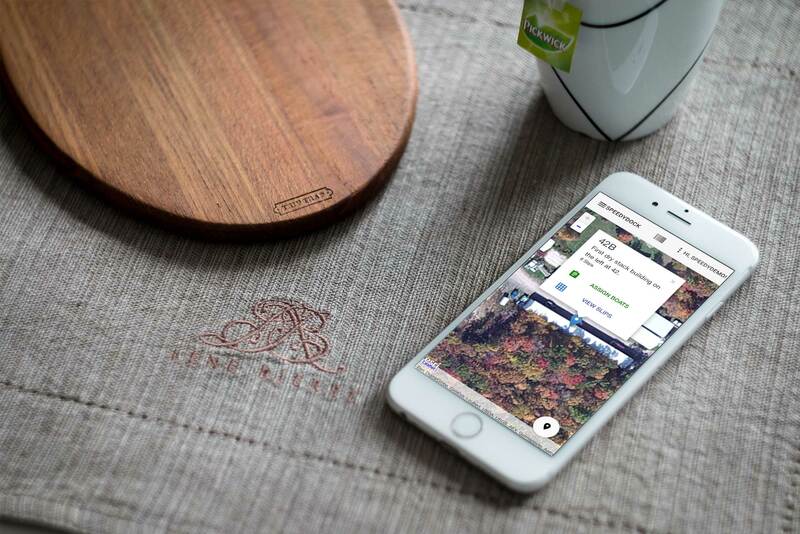 SpeedyDock is designed to support every user when they need it, no matter where they are. SpeedyDock supports a wide range of devices, making it convenient for marinas and their customers to access from anywhere. Support runs from Android phones and tablets to iPhones, iPads, and desktop computers. The app has speed in its name, and was built with speed in mind, responding quickly to provide a great experience, available when you need it most. The app is easy to use, but from time to time you may have questions. A user manual comes built in for you to reference and get answers fast. SpeedyDock seamlessly integrates with other accounting and marina management solutions to simplify daily processing. Watch the above video to see SpeedyDock in action! This video walks through some of the highlights including scheduling a launch request, dock maps, and app customizations. For more detail or questions, please use the contact form below to sign up for a free demo. "In just one season, we were able to streamline our operations, both from an administrative perspective and on the ground with our forklift operators and managers. Our customers appreciate the convenience of being able to request their boat out on their schedule, instead of only during our office hours." "Really can’t tell you how much we enjoy working with your program. It certainly did simplify our launching program for us." "We love using SpeedyDock. It has made launching boats from our high and dry storage a breeze! It has given us the ability to have customer request their boats out of high and dry themselves. 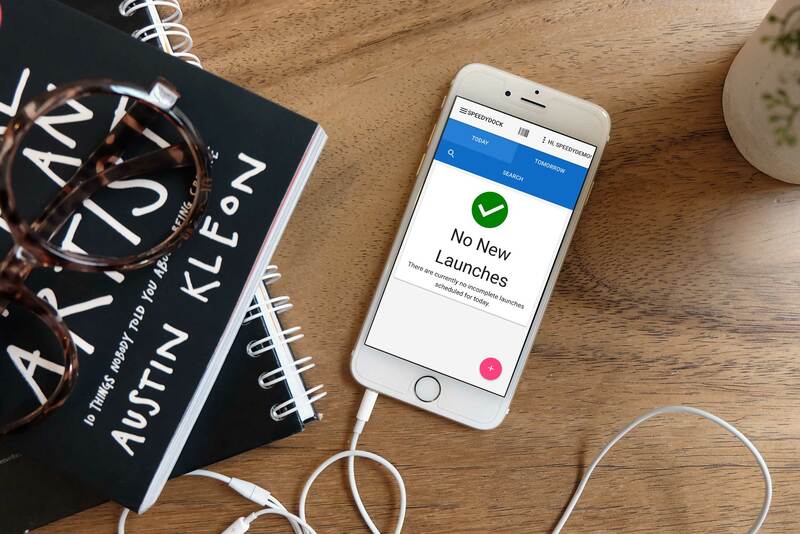 These requests go directly to the person in charge of launching and it has eliminated miscommunications from the service advisor to the launcher." "Our marina had a very successful year last year and I attribute a lot of that success to this system. By sharing the system with multiple people at the marina and being able to access it on our phones, we were able to book boats more efficiently. I don't know how we did without it before." The interface is truly built to work with you and your team, making it fast for use in the field. It is designed for ease of use on a wide range of platforms, and we worked hard to make it beautiful. Take a look at the screenshots below to see for yourself. 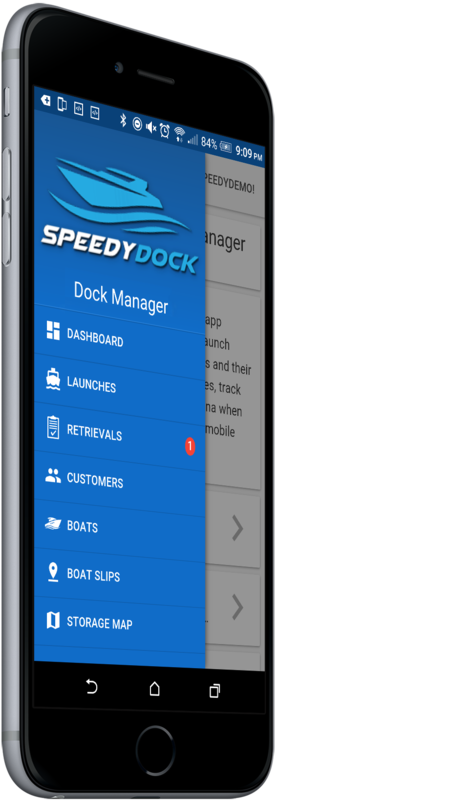 SpeedyDock is a Software as a Service Customized Around Your Marina. Please contact us for more details and a free demo. Contact us for any questions about SpeedyDock or to schedule time for a free demo. Thank you for submitting a demo request. We will be in touch as soon as possible and look forward to showing you a demo of SpeedyDock. Use the form below to send us feedback, ask questions, or schedule time for a free demo.